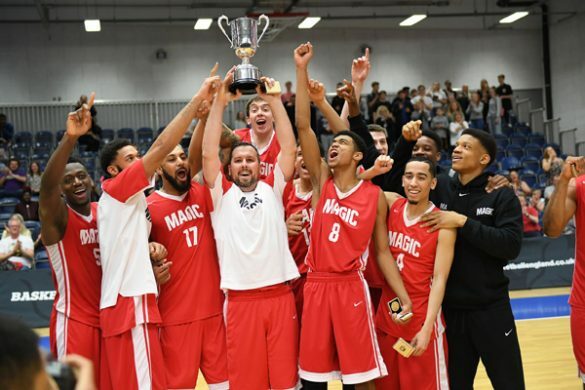 In this week’s edition of our newsletter you’ll find: Magic vs Thames Valley Cavaliers, Mystics vs Leicester Riders, Great Britain Are In Town, Get In The Zone, Haris Tournament 2018, On The Website, Want To Play 3×3 Basketball?, Fancy Joining Our Community Leagues?, Shop Online?, Community Sessions, Walking Basketball and National League Fixtures. We hope you enjoy it. GB’s women can qualify for EuroBasket Women 2019 with a win over Portugal on Wednesday evening after beating Greece 79-77 on Saturday, while the men start their road to EuroBasket 2021 with a clash with Austria in the Pre-Qualifiers. 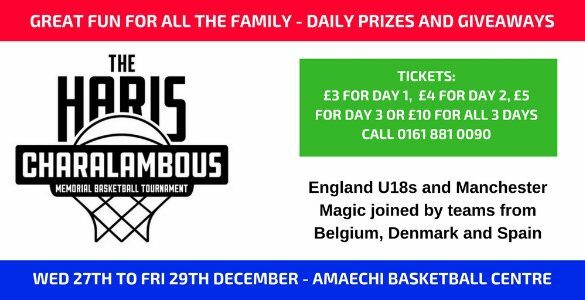 The 13th annual Haris Memorial Tournament is nearly upon us! Want to play 3×3 basketball? We’re planning on running leagues for men, women and juniors on Wednesday and Sunday nights (8pm-10pm) at the Manchester Basketball Centre. If you would like to register your interest or want to know more, drop us an email at info@manchestermagicandmystics.co.uk or call us on 0161 881 0090. There are nearly 3,000 online retailers that are signed up to donate via easyfundraising.org.uk including Amazon, Argos, John Lewis, ebay, Apple Store, asos, Boots, Currys, Debenhams, Game, LateRooms.com, Next, Sainsbury’s, SportsDirect.com, Travel Lodge, vodafone, Hungry House, Just Eat, Jet2Holidays, Thomas Cook, Hotels.com, Thomson and many more, so if you use any shop at any of them please consider helping us, it costs you nothing other than a few minutes of your time. Fantastic news, we have raised over £995 via Easyfundraising! Thank you to everyone who signed up and helped us reach this mile-stone, join today and help us reach £1,000!